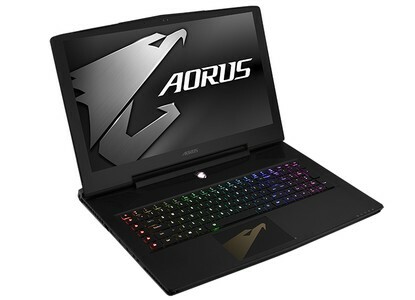 Aorus is of the same line of thinking, and for those willing to splurge on a high-end desktop replacement, it presents the 2,999 GBP X7 DT v8. The price tag alone will have most readers trembling in their boots, yet this is the going rate for a 17in system outfitted with top-tier parts from Intel and Nvidia, and the Aorus X7 has the advantage of being a v8 model that has benefited from various tweaks and refinements over the years. This time around, the upgrades include a hexa-core Intel processor and a full-HD IPS display supporting Nvidia G-Sync at up to 144Hz. Aorus X7 DT v8 kaufen.